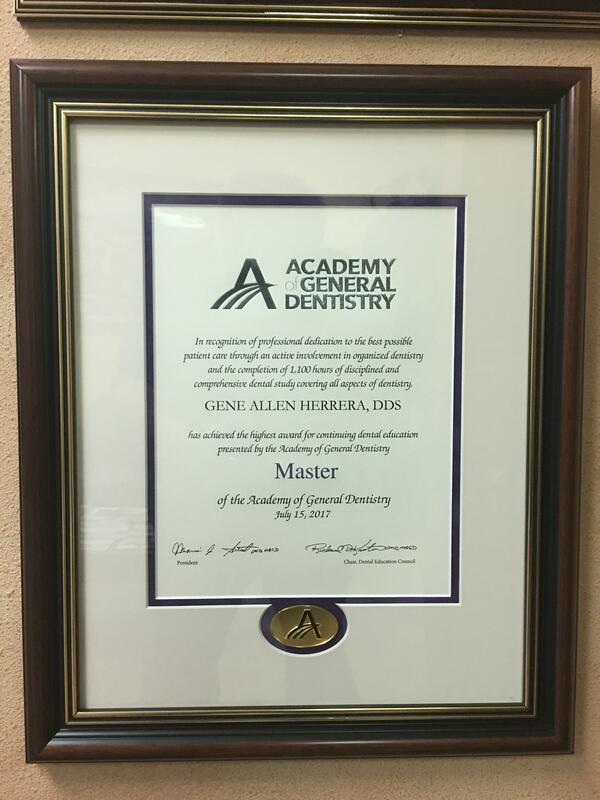 Concord, CA (2017)—The Academy of General Dentistry (AGD) is pleased to announce that Gene Allen Herrera, DDS, MAGD, FICOI, AFAAID of Concord, CA, has officially received the association’s Mastership Award during the AGD 2017 Annual Meeting, which took place July 13-15, 2017 in Las Vegas, NV. The Mastership Award is the AGD’s highest honor and one of the most respected and recognizable designations within the dental profession. Less than one percent of the general practitioner population in the United States and have achieved this lofty goal. To earn this award, Dr. Herrera completed over 1,100 hours of continuing dental education in 16 specialized areas of dentistry. In California, the average dentist is required to complete only 50 hours of continuing dental education every 2 years. 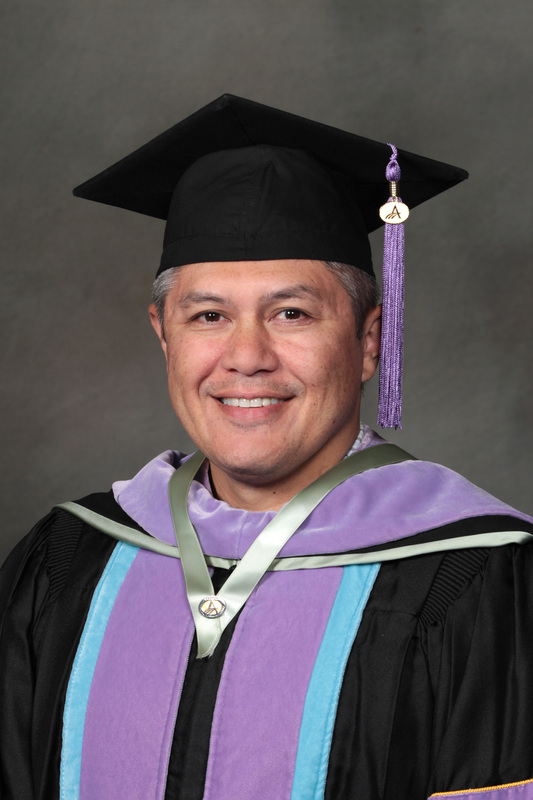 Dr. Herrera graduated from UOP Dental School in 2003 and currently practices dentistry in Concord, CA. The Academy of General Dentistry (AGD) is a professional association of 38,000 general dentists dedicated to providing quality dental care and oral health education to the public. AGD members stay up-to-date in their profession through a commitment to continuing education. Founded in 1952, the AGD is the second largest dental association in the United States, and it is the only association that exclusively serves the needs and represents the interests of general dentists. A general dentist is the primary care provider for patients of all ages and is responsible for the diagnosis, treatment, management, and overall coordination of services related to patients’ oral health needs. For more information about the AGD, visit www.agd.org.